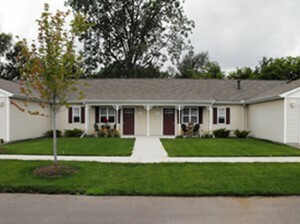 Eastside Village, located on the Eastside Senior Citizen Campus, is designed for independent living. Each of the 50 units has two bedrooms, two bathrooms, and attached garage, patio and laundry room. This wonderful complex is located adjacent to the Senior Center and enjoys the same amenities as Kearsley Daly Villa.